This week's reading hasn't been super wonderful---but I did knock two more books off that "Gotta Read It Before You Die" list. (By the way, I'm starving and need popcorn or I will die, so I'm goona make this quick. I really don't want the last books I've read before departing Earth to be not-so-great ones). So, first Agnes Grey. I can't say I totally didn't like it---but it's definitely not on my list of faves. To sum it up, it was sort of a bad Jane Austen knock-off from the point of view of a Negative Nelly. Like Austen's stories, it ends with the girl getting the guy and a happy marriage and a happily ever after---it was just so full of whiney waa-waas. Agnes's negative self-talk got annoying fast and her over-abundance of humility seemed fake. Besides that, there's just not a whole lot to it. Girl works for bad family. Girl works for not so bad family. Girl gets guy. The End. Just not a lot of substance. Still, Agnes was quite the little evangelist. I liked her conversations with Nancy---especially this from page 94 in my book: "An' so it is, Miss Grey, 'a soft answer turneth away wrath; but grievous words stir up anger.' It isn't only in them you speak to, but in yourself." It's very true that we will feel so much less negative emotions---less bitterness, less anger---when we give a soft and respectful response to a disagreement. Love this. I also love the response that Agnes's mother gives her own father who has negative things to say about her marriage to Agnes's father--- a man the grandfather said was beneath his daughter to marry. She basically tells him to shove it...Ha! Leave and cleave! Love it! I actually found myself way more interested in the biographical info at the beginning and end of the book. For instance, I've always thought it was strange that the Bronte line just completely died out. First the mother died, then the two older sisters died. Then the only son died. Then the two younger sisters. Then the last sister and, years later, the father--having never remarried. Just so weird. Makes me wonder what was in this family that God allowed that to happen? 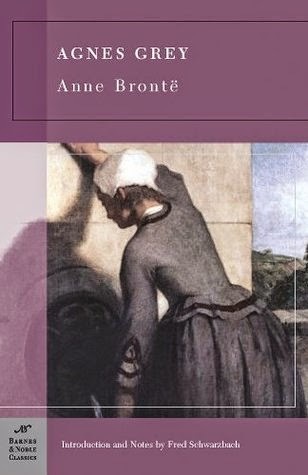 Another "bio thing"---this one an irritation---is the fact that Charlotte completely discounts the heart of Anne's other novel, The Tenant of Wildfell Hall, by basically saying it was a mistake for her to have ever written it and that the character of the novel was not the character of the author. I think this is pretty shallow of Charlotte. For one thing, she doesn't know what was in her sister's heart. Anne obviously felt strongly enough about it to seek publication. Secondly, it's pretty ridiculous for her to even give a bit of credence to the idea that the story should be taken as biographical. Can't an author just write a great story without critics---let alone family---reading more into it than there was? I remember feeling put out with Charlotte when I read the forward to Wuthering Heights, as well. She seems like a busy-body who was too overly concerned with her family's reputation to stand up for their genius. Book Description: Concerned for her family's financial welfare and eager to expand her own horizons, Agnes Grey takes up the position of governess, the only respectable employment for an unmarried woman in the nineteenth century. Unfortunately, Agnes cannot anticipate the hardship, humiliation, and loneliness that await her in the brutish Bloomfield and haughty Murray households. Drawn from Anne Brontë's own experiences, Agnes Grey depicts the harsh conditions and class snobbery that governesses were often forced to endure. I also want to just give a quick response to The Great Gatsby by F. Scott Fitzgerald---a book that everyone raved about but I just didn't really care for. For me, it was pretty much a big ol' Meh. When I posted on Instagram and Facebook that this was my next read, I got tons of responses about this being a favorite book of my friends. However, I just don't see what all the hype is. The writing style and word usage is unique and quite enchanting in some places, but the story itself left much to be desired. Well, let me back up and say that it might just be a cultural thing. The story takes place on Long Island and is very much a study of that particular people group in that place and in that time period. Knowing absolutely nothing about the New York Jazz Age culture, the issue is probably more that I was reading about something not particularly interesting to me---rather than not particularly interesting, in general. I do love how so much of the story is implied, rather than given straight out. That is a neat and unique way of writing it. So little is said about the characters, yet something tells us all we need to know and paints them vividly in the mind of the reader. Yeah, that's pretty much all I have to say. So, kind of a blah reading week---a week of which I feel pretty indifferent. This week, I'm waffling between re-reading The Scarlet Letter or a modern cozy mystery that I really enjoyed the first time around. We'll see...but for now, it's popcorn! Yay! 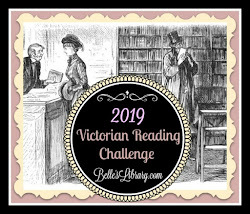 Full House Reading Challenge: The Great Gatsby for Free Choice and Agnes Grey for Debut Novel by Author. Hmm, bad form, Charlotte! Thanks for the reviews. I saw enough of the Gatsby movie to know that the book was not for me.